Extended service contract is available. 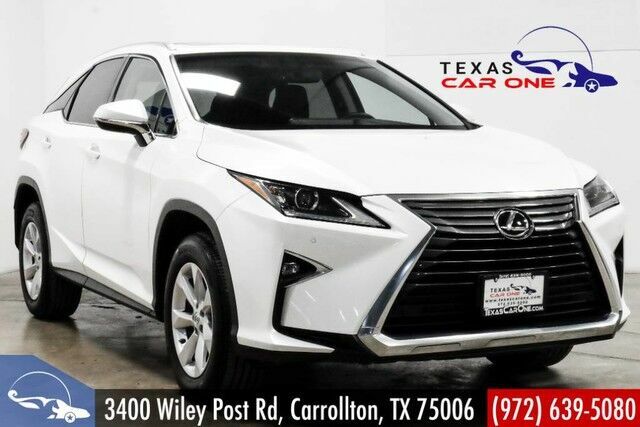 Highlighted features on this vehicle: AWD, PREMIUM PACKAGE, BLIND SPOT MONITORING AND REAR CROSS-TRAFFIC ALERT, INTUITIVE PARKING ASSIST, NAVIGATION SYSTEM WITH 12.3 INCH COLOR MULTIMEDIA DISPLAY, REMOTE TOUCHPAD, LEXUS ENFORM APP SUITE, LEXUS ENFORM DESTINATIONS, SUNROOF, LEATHER INTERIOR TRIM, HEATED AND VENTILATED FRONT SEATS, SMART ACCESS WITH PUSH-BUTTON START/STOP, BLUETOOTH AND USB SMARTPHONE CONNECTIVITY, BACKUP CAMERA WITH FRONT AND REAR PARKING SENSORS, POWER REAR DOOR, HEATED LEATHER TRIMMED STEERING WHEEL, MATTE LINEAR DARK MOCHA INTERIOR TRIM, DUAL-ZONE AUTOMATIC CLIMATE CONTROL, DRIVE MODE SELECT, POWER TILT AND TELESCOPIC STEERING COLUMN, POWER ADJUSTABLE FRONT SEATS, LEXUS MEMORY SYSTEM FOR DRIVERS SEAT MIRRORS AND STEERING WHEEL, POWER-FOLDING AND ELECTROCHROMIC (AUTO-DIMMING) OUTSIDE MIRRORS, POWER ADJUSTABLE AND HEATED OUTSIDE MIRRORS, LEXUS ENFORM SAFETY CONNECT, HD RADIO WITH TRAFFIC AND WEATHER UPDATES, LEXUS DISPLAY AUDIO WITH COLOR MULTIMEDIA DISPLAY, AUX/USB INPUT, REAR AIR, REAR ARMREST STORAGE COMPARTMENT, RAIN-SENSING WIPERS, ALUMINUM ROOF RAILS, BI-LED HEADLAMPS, LED FOGLAMPS AND DAYTIME RUNNING LIGHTS, 18 INCH SEVEN-SPOKE ALLOY WHEELS. .